Teen boys may want to work on their fitness for many reasons. If they love doing sport, increasing their muscle mass, endurance or cardiovasular fitness can really help them improve with their chosen sport. ​They may just want to keep fit and healthy and enjoy being at the top of their fitness peak. Or they may want to improve their appearance for self confidence or to attract teen girls! 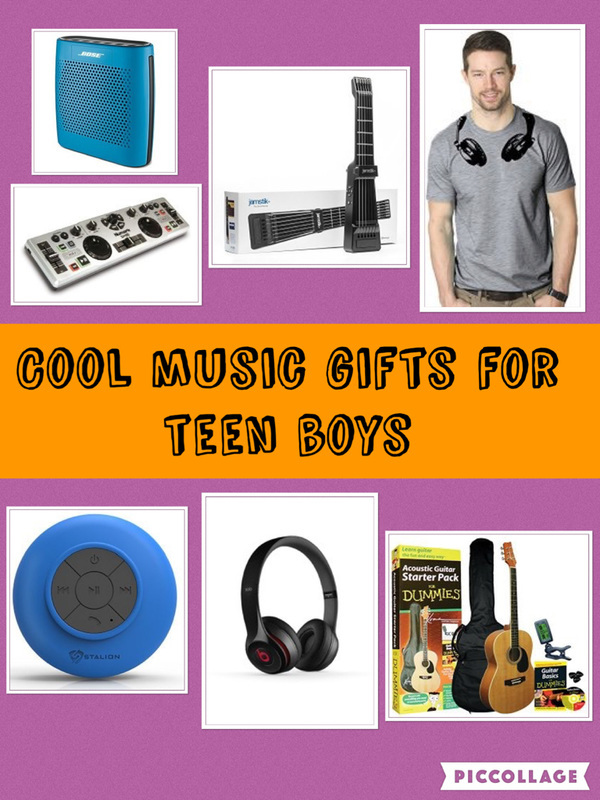 Whatever their reason, there are tons of gift ideas for teen guys who want to keep fit. Check out some top ideas. This is a versatile piece of homework out kit which can help give a full body work out. Hang this bar on the door without any tools and use it to do pull ups. Lay it on the floor to do press ups, dips and ab work. It can permanently hang on a doorway. Build up to doing 10 pull ups everyday and keep adding to that number. It installs quickly by using leverage to hold against a doorway. There are lots of activity trackers and watches that are a good investment for the fitness freak. The market is big and there are lots of trackers with different features and different budgets to choose from. At the top of the range there are fitness trackers which are worn as a watch and have smart watch features such as receiving alerts of calls, text and social media updates on the watch. There are fitness trackers which just have basic features such as measuring activity, steps and calories burned. And there is everything in between including heart rate monitors and sleep trackers. Check out a couple of options below. The fitbit is a cool little gadget which is great for tracking and improving overall fitness. It is good for improving general overall fitness. The band will wirelessly connect to a bluetooth device such as a cellphone and you can easily transfer data from the band to your device. You can then analyse your data and set goals to work towards. It will also receive call notifications and texts. The Fitness Blaze is described as a smart fitness watch. You can choose from multisport modes such as running, biking and cardio and then see your stats on display. Set workout goals and summaries too. It's features include Purepulse heart rate - maximise workouts with continuous heart rate without an uncomfortable heart strap. There's an all day activity tracker and a sleep tracker. The watch face has different clock faces so you can customize it. The abwheel is a great inexpensive piece of home kit that's great to strengthen your core. It also works your shoulders, arms, upper and lower back,and can help work towards a six pack if you want one! At various points during the exercise, you'll work every major upper body muscle group as your torso adjusts to the movements. It comes with an instructional fitness guide. A good piece of kit to have in a bedroom gym to help strengthen your upper body. The set featured is a 40 pound set which includes two handles, four 2.5-pound plates, four 5-pound plates, 4 collars, and a plastic storage case. The case is perfect for storage so it can easily be put away after each use. The weights are easy to change and you can increase the weights as your strength improves. Another fantastic piece of kit for a home workout. There is so much you can do to help build strength. Use the kettlebell to add extra challange when doing squats, lunges and twists. They can really work for an all body workout especially building upper body and core strength. . There are dedicated kettlebell exercise such as kettlebell swings and they are also good for working the biceps and triceps. Get started by finding some beginner workouts on youtube. There are 3 levels of game you can play beginner, intermediate and advanced. It can be played solo or challenge family and friends to a workout. ​For example, the game could be used for a warm up before he does any sports or activities. Or use it as a work out in itself. You can the dice to work out anywhere. Got 5 minutes three times a day Just take out your dice and play a quick game. You'll never do the same workout twice, so it's always fresh and exciting. Multiple small workouts several times day are scientifically proven to be one of the most effective ways to burn fat and build muscle. The article has already looked at watches with fitness activity trackers but there are a wide range of other sports watches to consider as well. There are so many sports watches to choose from on the market to suit different budgets. For teens who like running, cycling or hiking it is worth looking for a watch with gps so he can track his routes. Many of these watches now have activity tracker functions too. This Timex watch is great for everyday use as it has alarms, an indiglo nightlight (so you can see the time in the dark), a stopwatch for timing anything you need and it's waterproof up to 330 feet so you no worries if you forget to take it off in the shower. If he's a runner, the sports watch to get him is a garmin forerunner. The Garmin Forerunner 230 offers all the features a runner needs including tracking distance, pace, time and VO2 Max estimate. When he's not running, the you get smartwatch notifications from your phone displayed, and daily activity tracking too. Count steps, calories and distance throughout the day. The move bar with vibration alert motivates you to move when you've been sitting too long. The GPS performance is excellent. It will connect to satellites in lightning-quick time so no having to wait around in the cold to start his run for long. It also has modes for biking and indoor running. The battery life is excellent. It's waterproof too. Alleviate Stress and Punch It Out! A punch bag is great to hang in a teenager's room. It's great for fitness and can be used to alleviate stress too. It can be used with both arms and legs. The kit includes a 70-Pound, heavy bag, heavy bag gloves, 108-Inch hand wraps. It has an adjustable height customization chain so it can be hung at the right height. If the teen plays sport or does many fitness activities, it's more than likely they will need a lot of sports clothes and gear. 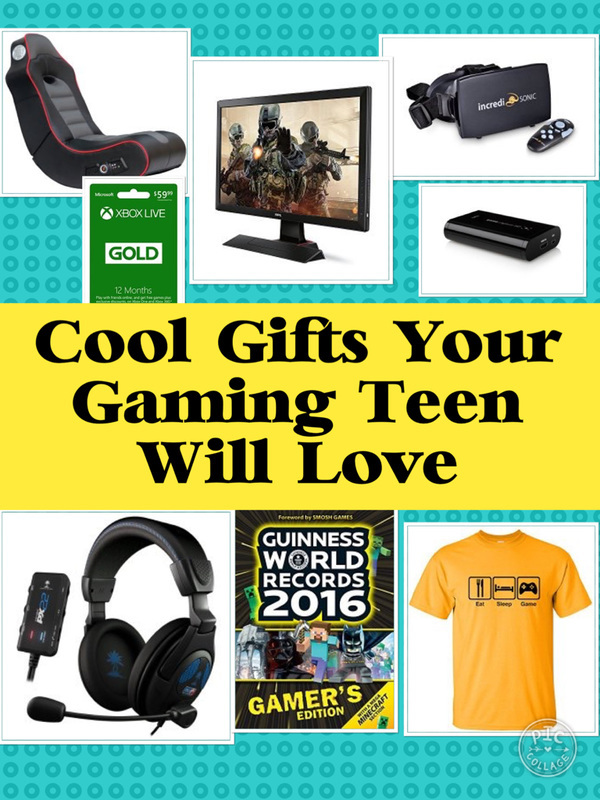 Therefore t-shirts, shorts, hoodies, socks and sports shoes all make useful gifts. Under Armour is a popular brand among sporty types. . The Under Armour t-shirt featured opposite is a looser fitting t-shirt which comes in various different sizes and colors. It features a crew neck, short sleeves and logo at left chest. It is made of quick drying UA Tech fabric and is designed to wick away moisture. So however, sweaty he gets it when working out or playing sport it should help keep his skin dry. The t-shirt also features odor resistant technology. When the colder weather is here, he can't have enough hoodies and fleeces. One to consider is the NFL Hooded Tech Fleece featured. Great for every NFL fan. It features a double lined hood, hand warmer pockets, a bushed interior fleece and embroidered team logo for his team. Great for wearing to keep warm when doing, playing or watching sport. Fantastic for sports fans too. Teens that go to the gym, run or play sports can never have enough sports socks. They make good birthday presents and stocking fillers at Christmas. What makes a good sports sock? Good sports socks are made of materials which wick away moisture from the skin. Synthetic materials are generally good for this. Socks that keep your feet cool in warm weather and warm in cold weather will offer comfort and ensure maximum performance is maintained. Perfect pants for athletic, training or casual wear. These joggers look great and are super comfortable. Teen boys apprciate their slim and casual look. They are made from ventilated climacool keeps you cool and dry. There are two front zippered pockets to keep your stuff while working out or training. The Adidas sackpack is the perfect bag for carrying a teen boys' essentials for the gym or his sports kit for a game. It features one large compartment with a drawstring closure complete with air mesh ventilation. There's a front zippered valuables pocket, lined with soft trico fabric. Two side mesh pockets can fit water bottles, gym clothes or anything else you need to carry. If he likes listening to music when he is working out, running or hiking wireless earphones are a perfect gift. When buying wireless earphones, its worth reading a few reviews to see if they are any good. - Easy and quick to pair with a bluetooth device such as a phone. - Comfortable and stay in the ears. The earphones featured pair of memory-foam ear tips (adapt to ear canal to provide a perfect seal and snug fit to help keep your earbuds in place) and a cord clip. - Good battery life and ideally quick to charge. The flipbelt - super comfortable and holds all your valuables. The flipbelt will hold your phone, keys, credit card, headphones and other valuables in a belt that you wear around your midsection. There is a loop you can attach a key to for extra security. It also looks good and the fabric is made of machine washable high tech Spandex-Lyrca blend material. Perfect for runners, hiking and using at the gym. Armbands to hold your phone are really useful to have during workouts. It allows you to have your phone is handy to listen to music and access any fitness apps or gps trackers you may need. You can also easily access and use your phone during your workout if you need to. Another advantage for teens is if they are working out outdoors such as running or hiking, they have their phone available in case they get injured or into any trouble. ​It's also great to have at the gym in case you need to contact anybody. - secure and safe - no worries about your phone falling out. - compatible with your phone size. Many armbands will fit mulitple different phone sizes. What Is the SKLZ Trainer Ball? It's a six-sided high-bounce rubber design causes the ball to leap and hop randomly. 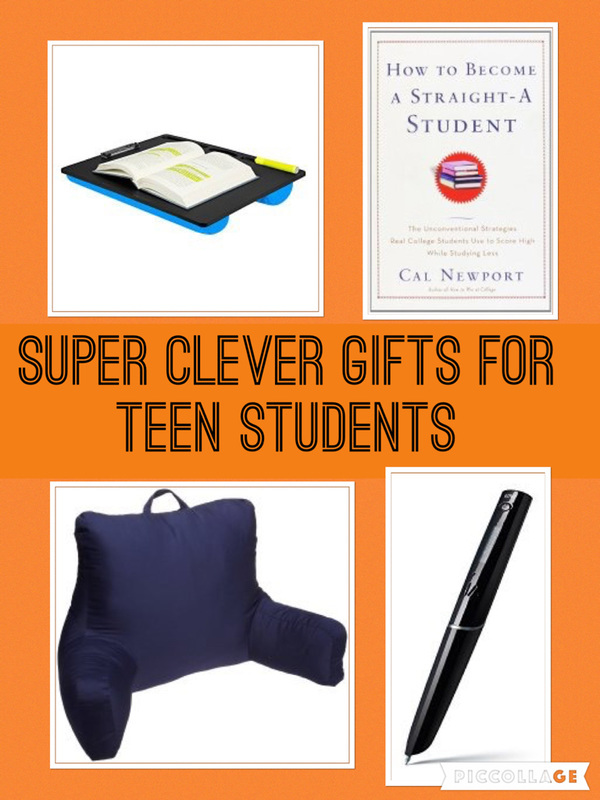 It's designed to improve reaction times and is particularly good for teens to improve techniques in sports like baseball. Whatever sport he plays or wherever he trains to get fit, he will probably need a decent waterbottle to keep hydrated. The stainless steel bottle featured is an excellent choice. It keeps drinks cold for up to 24 hours. And if he wants to use it for hot drinks in the winter perhaps while hiking or watching sport, it keeps drinks hot for 6 hours. Hydro Flask products feature a lifetime warranty and are double wall vacuum insulated. The insanity workout is great for a teen boy to do at home to get ultra fit. It is challenging and it focuses on getting an hour's results in just 25 minutes. The set includes 11 non stop 25 minute workouts on 9 DVDs, a quick start guide, nutrition plan. workout calendars, B-lines resistance band and 5 day fast track guide.